Great News from the Scottish Curling Junior Championships! We’re delighted to congratulate Team Davie, which includes two Murrayfield juniors! The squad – which includes Gogar Park Young Curlers Kirsty Barr and Emma Barr – claimed the top prize at the Scottish Curling Junior Championships this weekend. The squad was coached by Currie and Balerno curler (and Emma’s dad), Andrew Barr. They defeated Team Bryce in the final, which featured another of our own (and Emma’s big sister), Jane Barr, as lead. In her final year as a junior, Jane won the Ladies Sportsmanship Award. We’re so thrilled for all our young curlers!! The Barrs pictured above are Emma, Andrew, Jane, and Kirsty with their medals and trophies (and proud smiles). Team Davie will now head to the World Junior Championships in Liverpool, Canada as Scotland’s representatives next month. Read more online. The Sellar Trophy stays at Murrayfield! 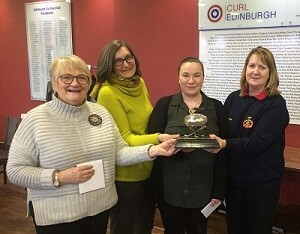 Congrats to Margaret Nicol, Kirsty Galloway, Rowena Steven (who was also on the C&B team who won the Midlothian Province Bonspiel! ), and Betty Gibb (pictured left to right) for claiming victory in the High Road last week. The annual Youngsters Cup has been running on Sunday mornings this January and finished this past weekend. Edinburgh youngsters Connor Galloway, Jamie Gorman, Oliver Mackenzie, and Sam Foster claimed Gold. 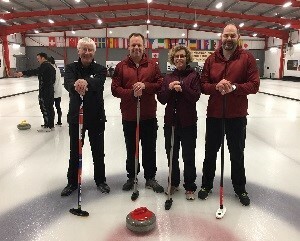 Congrats to Currie & Balerno for their victory yesterday in the Midlothian Province Bonspiel! 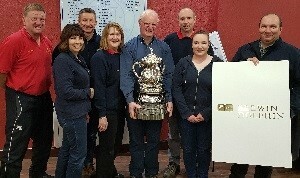 RBS won the Colin Black Trophy. Full results and photos will be available soon. Well done everyone! Thank you to the sponsor Brewin Dolphin – and to the New Stones for hosting a friendly match with them. Congrats as well to Edinburgh curler Catherine Dodds! Catherine was part of the team who won the Fred. 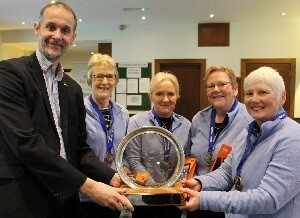 Olsen Cruise Lines National Masters Curling Championship at Greenacres earlier this month with Skip Kay Gibb of Aberdeen. 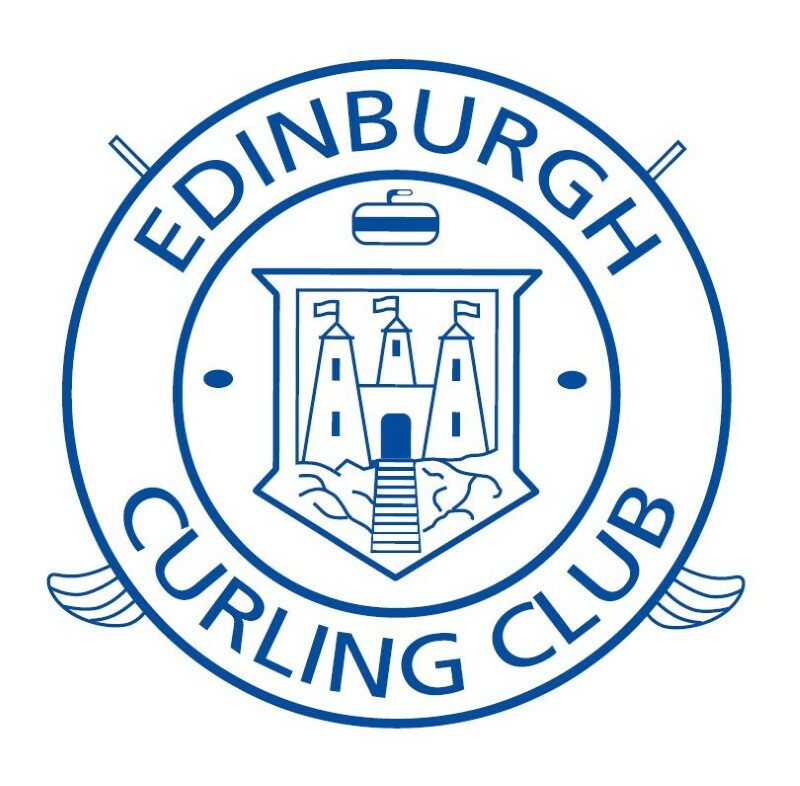 Before we get to the reminders, there is a quick plea from the rink and Edinburgh Curling School. We’ve had terrific interest this season from new curlers and groups. It’s so much that we’re struggling to meet the demand for coaches. Why should a coach shortage matter to the general membership? First, Try Curling, Beginners Courses, and New Stones are how we bring new members into the club. Without them, adults wanting to take up curling are not be able to join us and grow the sport and our clubs. 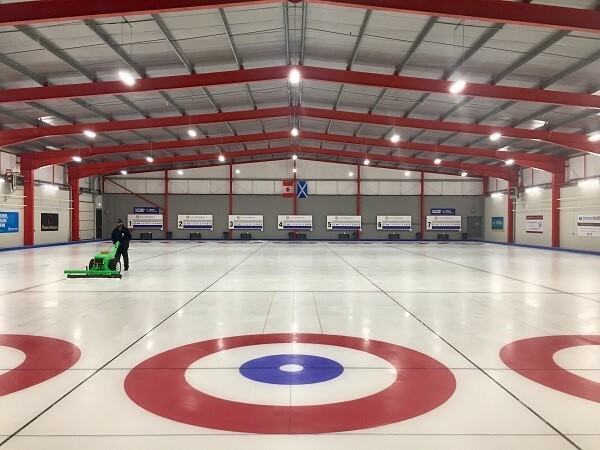 Second, the corporate groups, while less effective at encouraging new curlers, are a critical source of income for the facility – particularly at a time when we are fundraising for the renovation (and looking ahead to loan repayments). If you’re at all interested in coaching, please email the office. We’re exploring offering a short, introductory training session at the end of this season, as well as a full Scottish Curling coaching course in October. Always step onto and off of the ice with a gripper – NOT your slider!! Please check your grippers to make sure they’re not worn down and replace them if they’re looking smooth or torn. This season’s Quick Curling & Quiz Night is fast approaching. Join us on Saturday, February 23 for this fun-filled fundraiser. Entry is £60 per team of 4 curlers. 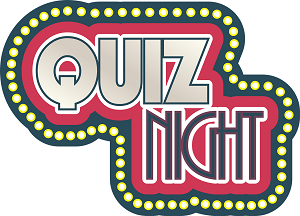 Quiz-only participants can join for only £7.50. Proceeds will go to the Curl Edinburgh 2018 fundraising effort – and help get the cladding on the walls this summer! Join us for this spring’s Swing ‘n Sweep! The event includes golf at Merchants of Edinburgh Golf Course, curling, a meal, and a drink. Get your team together for Sunday, March 24! Sign up forms available in the clubroom. We’ve had some questions about why pebbling isn’t happening between every session. The short answer is: the water and floor quality is high enough that under certain conditions, it’s not necessary in order to maintain our top-quality ice. That said, at the request of weekday evening curlers, all ice will be pebbled and push nipped. The consequence of this will be a small delay starting evening sessions, depending on how previous games finish. Please be patient as this is an unavoidable consequence of the request. The Business Bonspiel is back! Last February we celebrated the Olympics with a fun afternoon of team-building and networking. We still have space for one more team! Please join us the afternoon of Thursday, March 21. Now that we have our lovely new floor, there’s been some interest from the WCF in having an international event here at Murrayfield. In order to host an event of that size, we would need to find a sponsor and thought we would ask the membership for ideas! If you know someone at or work for a company with an interest in sports sponsorship, please send us their information. Please note that summer hours will be Monday to Friday, from 9-5. We are accepting bookings for AGMs and other meetings, but please keep in mind that we do not yet have the renovation schedule, so there is the possibility of closures impacting meetings. Catering is limited and must be requested in advance. All requests are subject to availability. sportscotland are running a large-scale club member survey again this year. The survey is open until 11 February 2019. There will be a prize draw of all responses and one club will win £1,000 of sports equipment. No Replies to "January Newsletter"